High flexibility with only a few main components can meet any construction requirements. Timber beam H20, steel waling, plywood and clamp etc.. These components can be combined for all shapes, even with the restructuring of wall formwork units when a frequent change of the building structure plans happens. 1. 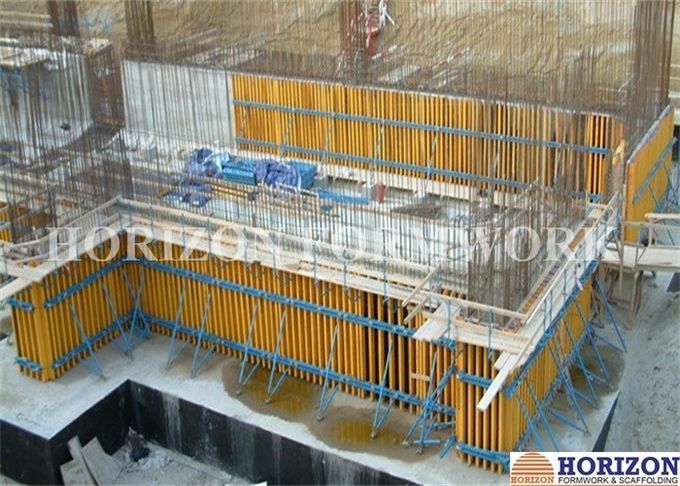 Can create any shape and size of wall formwork with any thickness. 2. Can choose whichever form face material best meets your requirements - e.g. for smooth fair-faced concrete. 3. Depending on the concrete pressure required, the beams and the steel waling are spaced closer or apart. This ensures optimum form-work design and the greatest economy of materials. 4. Can be pre-assembled on your site or before arrival at your site, saving time, cost and space for you..
5. Can match well with doka and peri systems. 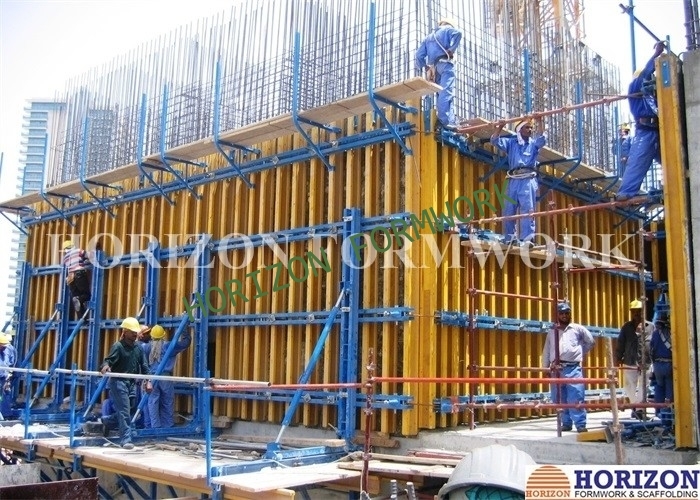 Climbing formwork for core wall.Safe and convenient. Painted adjustable steel prop. High degree of safety.